Access Advantage Insurance in Charlotte, NC has been in business since 1992, and is an independently owned and operated agency. All of us work together to establish great personal relationships with clients to bring them the most competitive rates for any of their insurance needs. We work with over 25 companies to make sure we provide the most affordable Business, Auto, Commercial, Home, Life and Health Insurance. 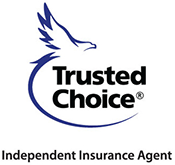 Our agents are committed, responsible, and adaptable to any changes in our customers' coverages. It might be as easy as adding a driver, or as demanding as rebuilding a business after a fire. Regardless of circumstance, we are the agency for your advantage in North Carolina, South Carolina, and other states coming soon.